Ready to experience the natural wonder of Southern Oregon? The Rogue Valley provides ready access to a wide range of outdoor activities. 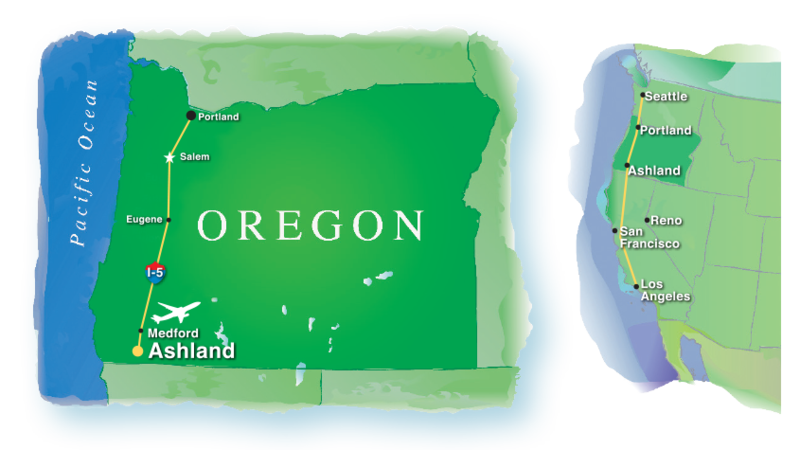 Pristine lakes and rivers and forested mountains packed with hiking trails are only minutes from campus, and Oregon’s sparkling coastlines are a few hours’ drive from Ashland. Every season has something to offer in Southern Oregon. Are you an outdoor enthusiast? You’re in for a treat. Ashland is brimming with gorgeous hiking, biking, and running trails. The Rogue River is world-renowned for its rugged beauty, whitewater rafting, and salmon fishing. Snowboarders and skiers at any skill level are a short jaunt away from Mount Ashland, the highest peak of the famed Siskiyou Mountains of Southern Oregon.